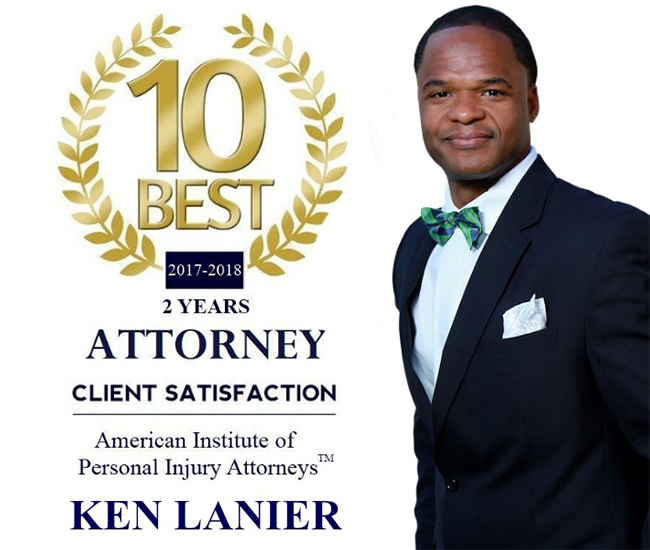 Clients throughout the Atlanta metro area find unparalleled levels of attention and understanding at The Law Office of Ken Lanier, LLC. Attorney Lanier’s personal commitment to securing the best possible results in personal injury cases for each individual is backed by his unique experience and a deep involvement in the community. With Attorney Lanier as your personal advocate, expect nothing less than a supremely capable professional working tirelessly to make your life better. If you’re seeking an alternative to larger offices where you might find yourself feeling ignored or misunderstood, you’ve found it at The Law Office of Ken Lanier. Feel free to continue browsing this website to learn more about Attorney Lanier and the services he provides.